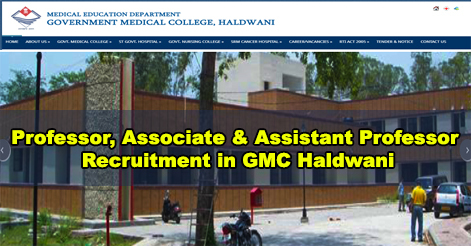 Government Medical College, Haldwani has released advertisement for the recruitment of Professor, Associate & Assistant Professor in various Departments. Walk-in Interview for theses post be held on 10th October 2018. The appointments will be made on the contractual basis. Interested and qualified candidates can participate in the Walk-in-Interview to be held in Medical Education Directorate Dehradun. M.Sc. Medical Physics / M.Sc. Physics with diploma from BARC/P.G. Degree. Internship of min. 12 months in a recognised well-equipped radiation therapy department of institute recognised by AERB. The candidate should have cleared RSO Certification exam conducted by AERB. Interested candidates can attend the walk-in interview. Walk-in-Interview will be held on 10th October 2018 from 11:00 am onwards in the “Office of the Director, Medical Education Directorate, 107-Chandernagar, Dehradun Uttarakhand”. 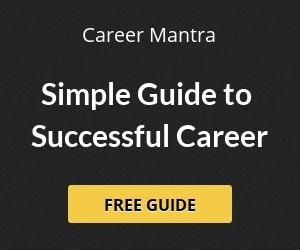 Candidate must bring their resume along with original MBBS, MD/MS Degree, Medical Council Registration Certificate, Experience Certificate and Undergraduate teaching certificate during MD/MS course and other relevant documents, a set of photocopies thereof. Two recent passport size colour photographs s are needed at the time of interview. Help us to improve this article/job posting "Professor, Associate & Assistant Professor Recruitment in Govt. Medical College Haldwani". We would be glad if you can comment below and provide your valuable suggestions and feedback. If this page have any wrong information/list or out of context content, then you can report us as well.